Small businesses are powerful economic movers and shakers. If your organization falls in this category, make sure you’re maximizing your impact by giving back in these three ways. When speaking about mom-and-pop or emerging businesses, the term “small” is a bit of a misnomer. Not only can those companies have major impacts, but they account for nearly half of U.S. private-sector employment, according to figures from the Small Business Administration. Each business that sits in the middle of a walkable neighborhood or bustling downtown district serves to brand the community. 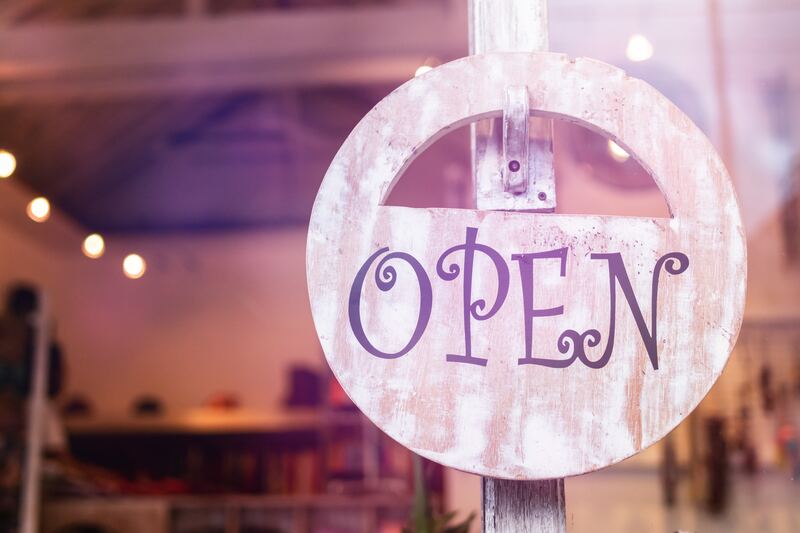 In fact, in many locations, the legacy and heritage built by the hard work of small business entrepreneurs is not just lauded but preserved via municipal regulations and community expectations. Truly, small business owners have far-reaching opportunities to change both their immediate surroundings and places that are worlds away. How can a new neighborhood restaurant or a supplier of homespun jewelry sow seeds that will have long-term impacts? It’s surprisingly simple when founders focus their attention not just on marketing but on giving back authentically and consistently. Consumers appreciate businesses that keep tax dollars at home and offer employees a place to work that connects them with their roots. 1. Work toward fair wages. Compensating your employees fairly is the right thing to do, and by paying your people fair wages, you provide them with disposable income they can spend at local businesses — maybe even your own. You’ll also likely see a more direct business benefit to paying employees fairly; namely, avoiding high turnover. Plus, you’ll improve your local reputation as a good employer, something that’s important to your customers as well as potential hires. Some politicians talk about living wages, but their talk can be limited — and maybe even scary to a small business owner. After all, businesses just making ends meet may have trouble conceiving ways to boost their pay rates across the board. The truth is that moving to fairer wages requires a holistic approach. To set up an equitable pay structure, start by evaluating each role in your organization. Once you have that role structure in place, you’ll need to define your market, noting where you recruit people from and whom you lose people to. Next, look at each employee’s performance and decide how you want to distribute pay increases over time. You’ll also have to decide whether you’re going to offer slightly more than your key competitors or match the marketplace when it comes to average pay for your industry and area. None of this will be a walk in the park, but the long-term business benefits will make it worth your while. Many consumers, including 86 percent of Millennials, actively put their money behind products and companies that responsibly source product materials. How can you advertise your commitment to this along all points in your supply chain? Consider earning Fair Trade Certification a la Whole Foods Market or Green Mountain Coffee Roasters. Or investigate whether your industry offers certificates or badges for choosing fair trade options for everything from the materials you buy to the methods you use to create your output. Zegarra-Bellon compares the uptick of interest in fair trade products to the locally grown food movement. In the same way that consumers began questioning where their food was coming from and how it was produced, they now want to know that other products they’re buying are being produced without exploitation of workers or the environment. By making a commitment to ethical sourcing, your business can both differentiate itself and make a difference in the world. 3. Weave your social mission into your story. Why limit your business to just selling a product or service? Weave a mission into your business story and share it with the world. Not only will you feel a sense of purpose by contributing to a social mission, but you’ll see business benefits as well. As a Cone Communications survey discovered, 85 percent of Millennial consumers will turn to a new brand if it is associated with a cause they support. For instance, Leila Janah, the entrepreneur behind data solutions provider Samasource, wanted to use online work to help lift people out of poverty. So she took a chance on untrained workers living in developing countries. Not only does her company offer these individuals the chance to improve their lives, but it gives clients another reason to choose her over a competitor. You might already have a social mission that propels your organization’s decision-making. If not, now is the time to figure out what lies closest to your company’s heart. Then, share that discovery with the world through every decision you make. Doing good is not just the right thing to do. It can also be a savvy business move. Rethink the ways you could give back to your community this year and beyond. You might just reap far more than you could ever have imagined both in revenues and in goodwill. What is the Impact of Technology on Small Business?